In light of recent cellular privacy revelations, your most paranoid neurons might be firing hard. You can put a tinfoil hat on your head, but what about your gadgets? 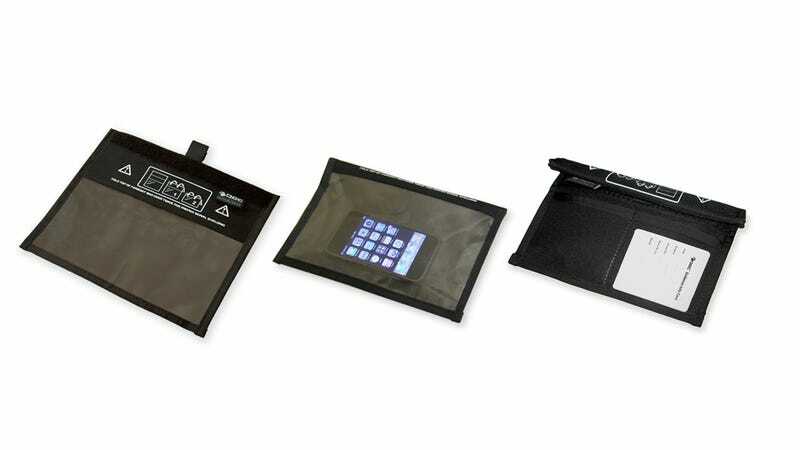 These Faraday Bags put your device in a radio-proof vault. The cases, like a standard (room-sized) Faraday cage, block out electrical charges and electromagnetic radiation—so zero signal bars for you, sir. The bags come in a variety of sizes, priced from $80 to $275.